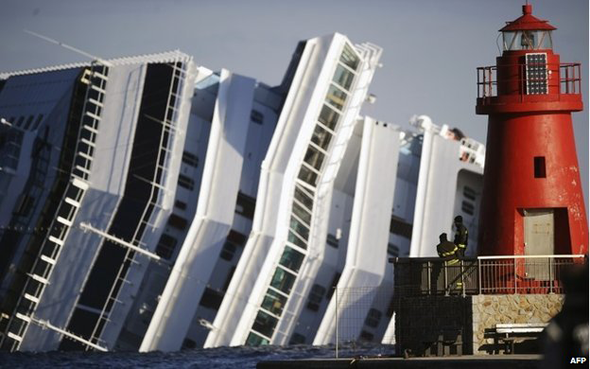 The captain of the Italian cruise ship Costa Concordia has been found guilty of manslaughter and sentenced to 16 years in prison. Captain Francesco Schettino was at the helm when the ship hit rocks and sank in 2012, killing 32 people. He was accused of taking the liner too close to the shore and then abandoning ship with passengers and crew still on board. Schettino denied the charges and said he was being made a scapegoat. His lawyers had argued that it was a collective failure of the ship's crew and others should share the blame for the disaster. 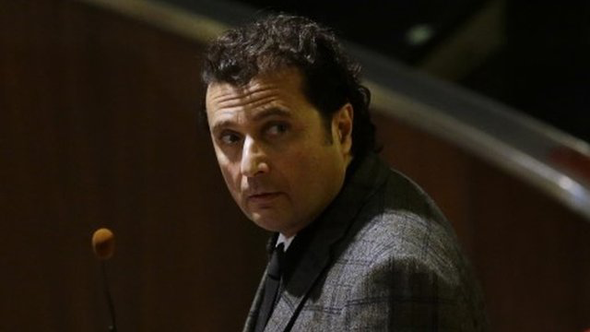 Schettino was not present when Judge Giovanni Puliatti read out the verdict at the court in the city of Grosseto. The 54-year-old is expected to appeal against the verdict. Earlier, the captain had made an emotional final appeal to the judge on the last day of the 19-month trial. Schettino sobbed as he told the court he had spent the last three years "in a media meat grinder". "All the responsibility has been loaded on to me with no respect for the truth or for the memory of the victims," he said. Prosecutors had sought a total sentence of 26 years and three months but the judges eventually sentenced the skipper to 16 years and one month. Investigators had severely criticised his handling of the disaster, accusing him of bringing the 290m-long vessel too close to shore when it struck rocks off the Tuscan island of Giglio. The ship was ripped open when it hit the shore and more than 4,000 passengers and crew were forced into a chaotic evacuation.